Now is the perfect time to choose Synthetic Turf International® from PlayN Wisconsin for your next artificial turf project, so you can embrace a greener world. 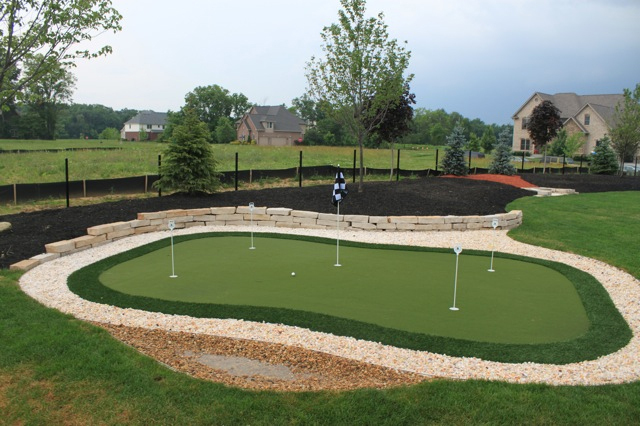 PlayN offers the right artificial grass surface for every game and golfer. Manufactured to perform perfectly every time, our putting, chipping and target greens are used by professionals, amateurs and golf instructors worldwide. We recognize that the most important aspect of the game is putting. That’s why our putting greens are designed to produce results-oriented practice and reinforce the underlying mechanics of good putting. Extremely durable, PlayN artificial turf has a high performance signature “true roll” characteristic that makes it a favorite among low handicappers, as well as touring and teaching professionals like David Leadbetter, the top ranked teaching professional in the world. We offer texturized nylon and polypropylene sand-filled putting greens as well as a comprehensive line of synthetic target greens, artificial range turf and tee line surfaces. In addition to traditional outdoor putting greens, PlayN produces indoor and modular-portable greens. Our team can also enhance aesthetics and impact by installing sand bunkers, chipping stations and fringe grass chosen from our array of indigenous and native grass turfs. PlayN Wisconsin’s signature lawn and artificial landscape turf, SoftLawn®, gives you the beautiful, low-maintenance lawn of your dreams. Lush and lifelike, the synthetic surface utilizes a soft polyethylene UV protected synthetic fiber to produce a realistic “fresh cut” appearance combined with a soft, pleasing feel. 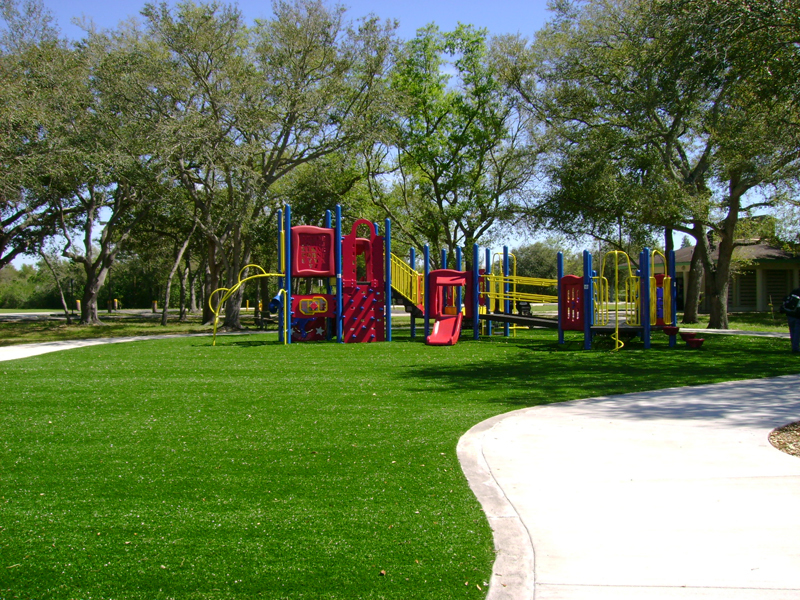 Treated and tufted on a porous backing, SoftLawn® is the same quality product used in school playgrounds, play yards, and lawn applications. As with all PlayN surfaces, SoftLawn® is easily maintained using a leaf blower and can help homeowners conserve nearly 100,000 gallons of water each year (based on an average 1,800 square foot lawn). 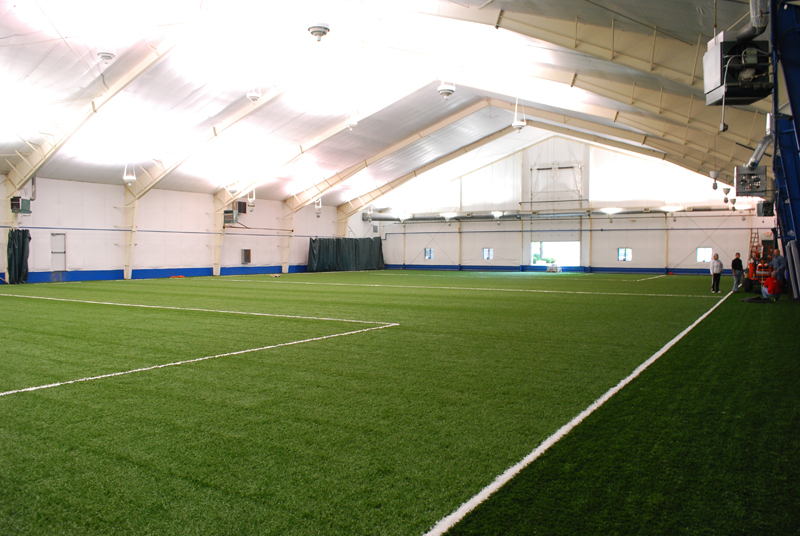 Think synthetic turf is just limited to artificial grass playing fields? PlayN is helping the athletic industry with innovative synthetic turf solutions ranging from gym flooring to weight lift areas in order to help facility users achieve maximum performance. 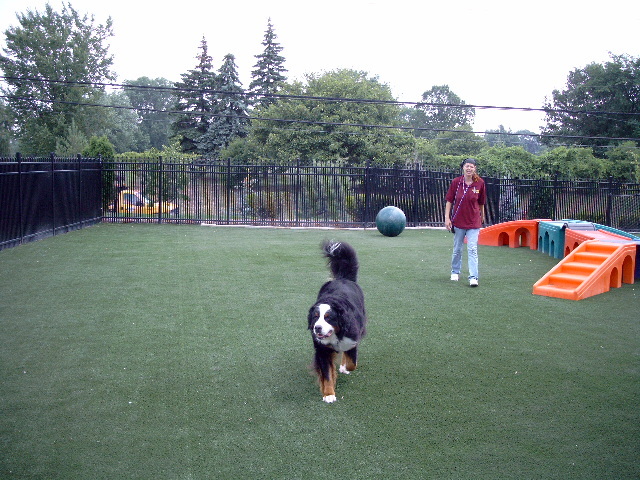 Many gyms, training facilities, and schools are implementing artificial turf for agility training areas to replicate the look and feel of being on natural grass for added resistance. This type of training has become very popular with personal trainers and coaches looking to motivate and push athletes and amateur fitness enthusiasts alike to the next level of performance. However, while our artificial turf simulates outdoor field conditions, it has been constructed with added cushioning to reduce stress on the joints and prevent injuries. Your pet is an important part of the family. That’s why they deserve a safe, durable SoftLawn® artificial Pet Turf surface for their recreation, relief and comfort. Effective for both large and small breed dogs as well as cats and other domesticated pets, Softlawn® Pet Turf is perfect for indoor or outdoor use in large or small coverage areas. It eliminates the problem of cement causing cuts and abrasions and gravel aggravating paw pads. As your dogs and cats age, they particularly appreciate how easy and supportive this artificial turf surface is on their joints and exposed areas of coat and skin. Best of all, this resilient, non-allergenic activity area simply looks great. SoftLawn® Pet Turf provides an innovative and sanitary solution for pets to relieve themselves on a daily basis, during transport or while on vacation. The artificial grass surface also works well during an emergency such as a hurricane or other inclement weather situation when pets are required to remain indoors for longer periods of time. Maximize your pet’s safety and comfort while making it easier for you to take care of their needs with SoftLawn® artificial Pet Turf! According to the Centers for Disease Control and Prevention, the chance to play is so essential to optimal child development and wellness that it has been recognized formally by the United Nations as a right of every child. We help more kids play outdoors and inside by creating commercial and residential artificial grass play area surfaces that focus on the safety of children, environmental impacts of the materials used and cost containment. Safety always comes first with our SoftLawn® Playground recreation surface, which exceeds national safety standards and is ASTM certified. This artificial turf play surface is fully ADA/ABA compliant and consistent with all U.S. Consumer Product and Safety Commission requirements. PlayN continually enhances our commercial playground configuration complete with fall zones and exceptional HIC ratings with all components being biodegradable and/or recyclable and lead-free. Like most antimicrobial products, our artificial turf playground surfaces do not support stain or odor causing bacteria, mold, or mildew. Plus with artificial turf, facility owners and parents alike never again have to worry about exposure or contact with harsh chemicals found in the pesticides and fertilizers used to treat regular grass. In addition, childhood motor and sensory development is stimulated by the attractive appearance of our artificial turf playgrounds. 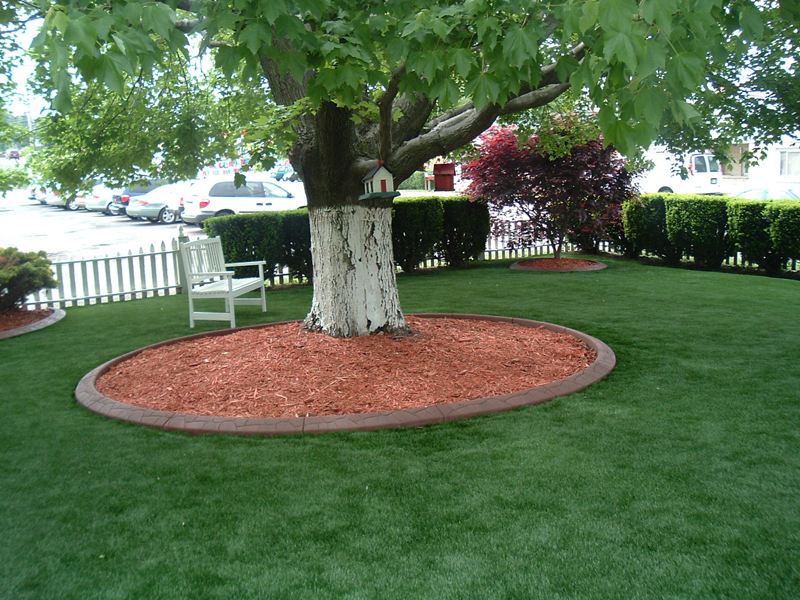 Unlike mulch or shredded rubber, the durable grassy surface is green, inviting and lush. PlayN’s colorful line of “Nature’s Friends,” such as a bright yellow bee and a vibrant multicolored butterfly which can be inset in any play area, add interest, fun and beauty. Pre-designed, synthetic Hopscotch games are now being inset at larger facilities enhancing structured game use, and we also offer customized logos.